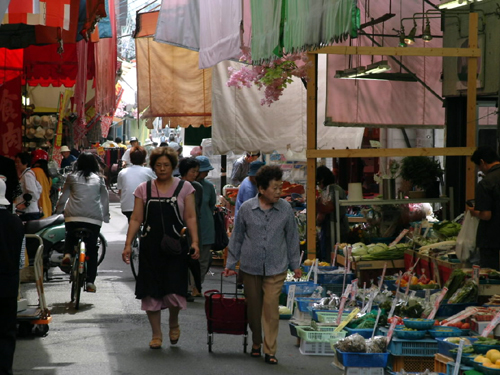 Tsukiji Market Toritoh Bunten is in the Outer Market (Jōgai) and has not moved to Toyosu Market. 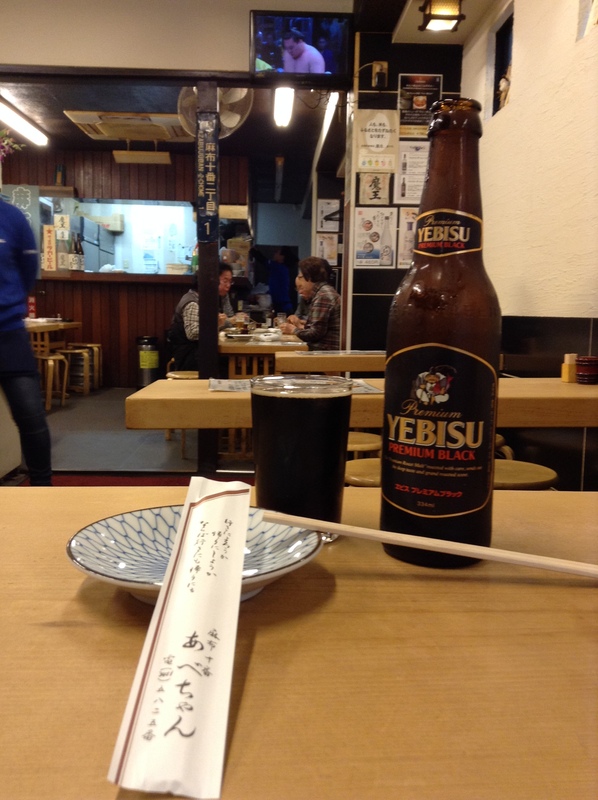 While many people coming to Tsukiji Market are dining on raw fish for breakfast I usually beeline it to the non-sushi and donburi restaurants as I get enough of it at home. 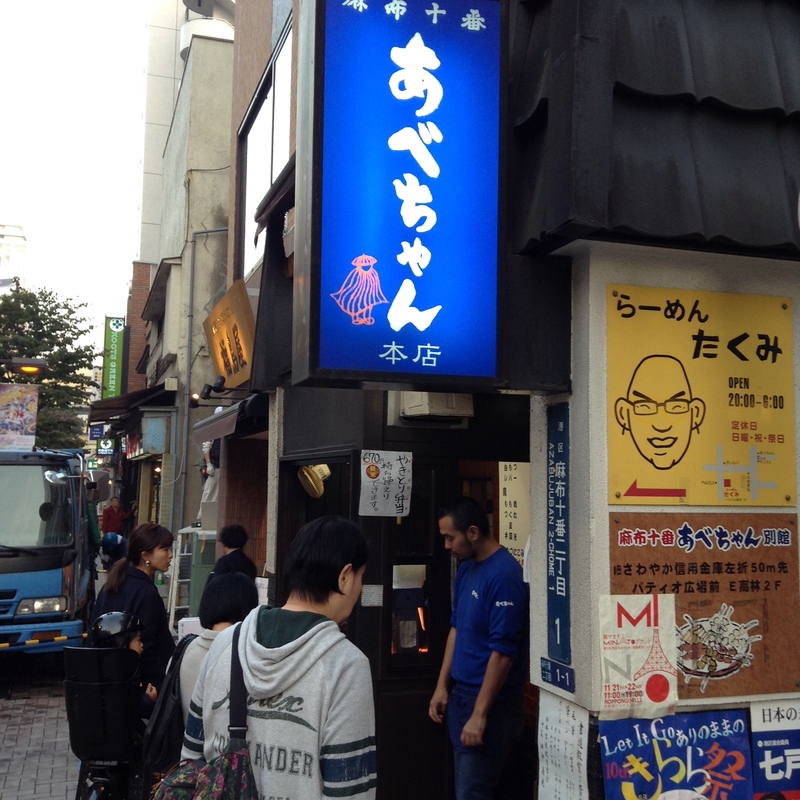 Toritoh is a chicken retail shop that also has a restaurant around the corner from the main shop. The restaurant’s signature dish is oyakodonburi, a mixture of soft scrambled eggs and chicken, called parent and child. 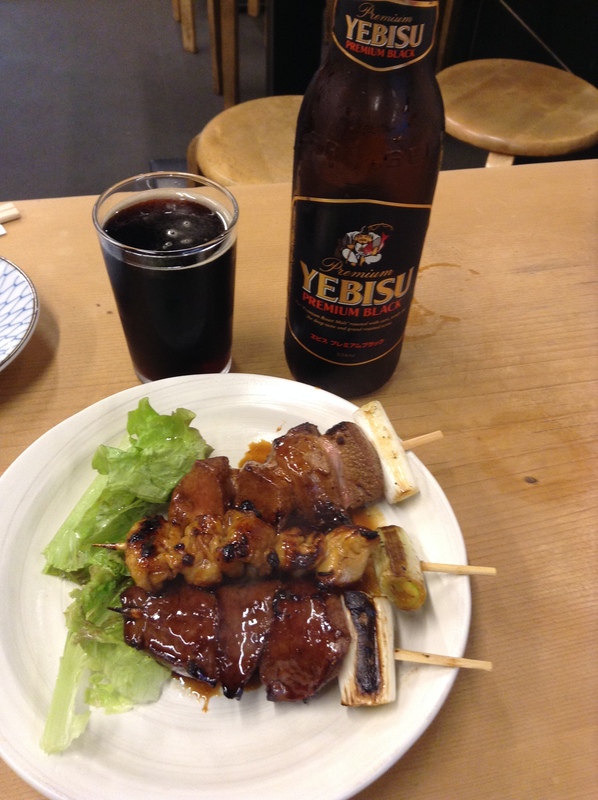 This day I had asked for the yakitori donburi but was told that the retail shop didn’t send any yakitori over so the restaurant would not be serving it for the whole day. I then ordered this donburi that is topped with ground chicken seasoned with a sweet soy sauce and ginger, teriyaki chicken, liver, gizzard, and egg yolk. 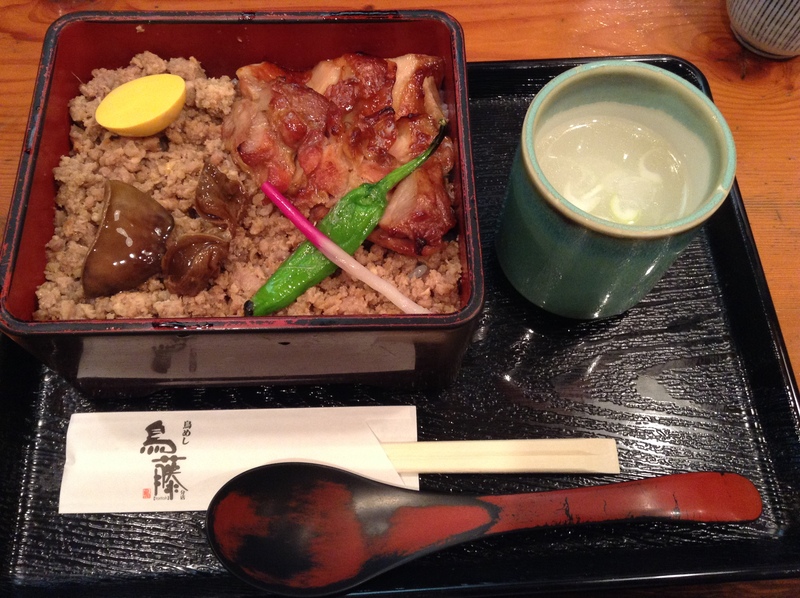 Chicken broth is served in a tea cup which is done at many yakitori restaurants in the city. I did ask for a smaller serving of rice (gohan o sukuname o kudasai) and am glad I did as this smaller portion was just the right size. Toritoh is often busy but on this rainy day I lucked out. Highly recommended and I will be back for this dish. For more details on the restaurant, see this earlier post on Toritoh. 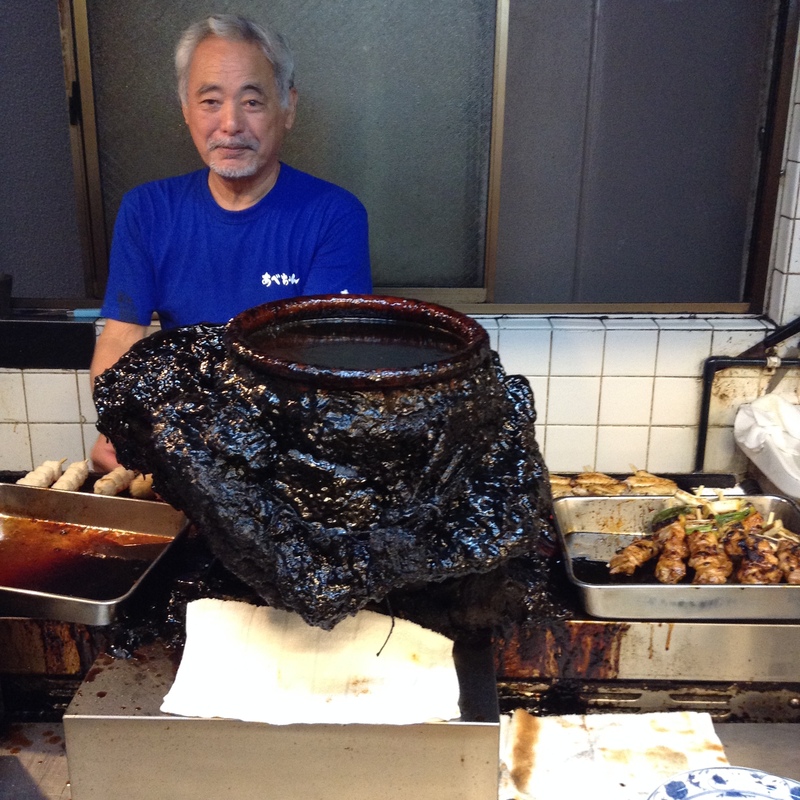 While many come to Tsukiji Market for sushi, I prefer to have warm dishes first thing in the morning. There is a wide variety of restaurants offering up more than just raw fish. 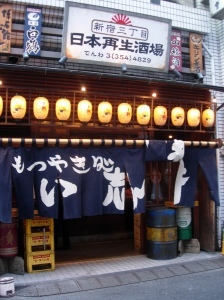 Toritoh is both a restaurant and a retail shop. The retail shop in the outer market that sells both raw and cooked chicken. The restaurant is just around the corner from the retail shop. It’s a tiny restaurant that seats six at the counter and about ten at tables in the back. ** Note on a recent visit in October 2014 this fried chicken dish was no longer on the menu. Kara-agé is Japanese fried chicken. This version fries the chicken and then quickly dips it in a sweet soy broth before putting over a bowl of rice topped with sauteed bean sprouts. It is served with a simple chicken broth, tofu, and pickles. The counter overlooks the open kitchen. On the stove there are several pots used specifically for cooking the chicken and eggs for oyakodon. 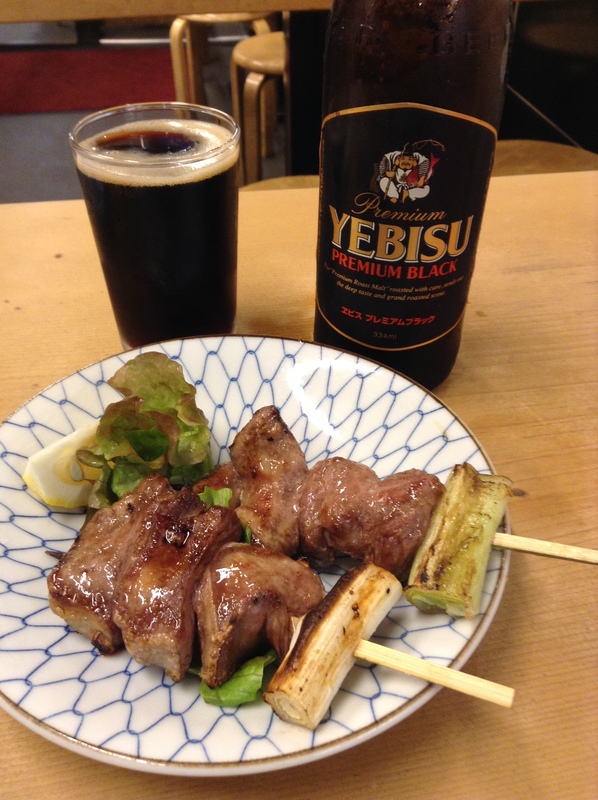 Other dishes on the menu include yakitori over rice, chicken katsu (cutlets) and curry, and an interesting dish of bonjiri which is the fatty tissue near the tail end of the chicken. Click here for photos of the dishes and a map to both the restaurant and the retail shop.